Drone Pilots was established to meet the drone surveying needs of commercial and private clients where the advantage of a drone or UAV is required. Their certified pilots are experienced surveying and construction professionals. 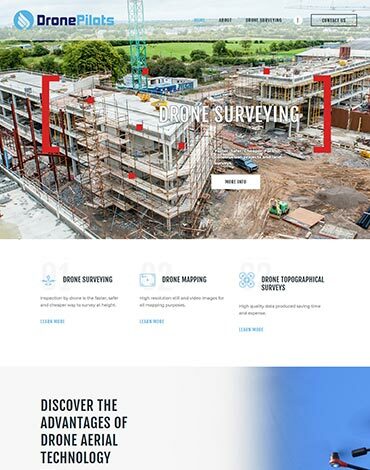 Drone Pilots required a website to feature their wide range of services, which include: Drone Surveying, Drone Land Surveying, Drone Mapping, Drone Photogrammetry, Drone Topographical Surveys, Aerial Photography and more.